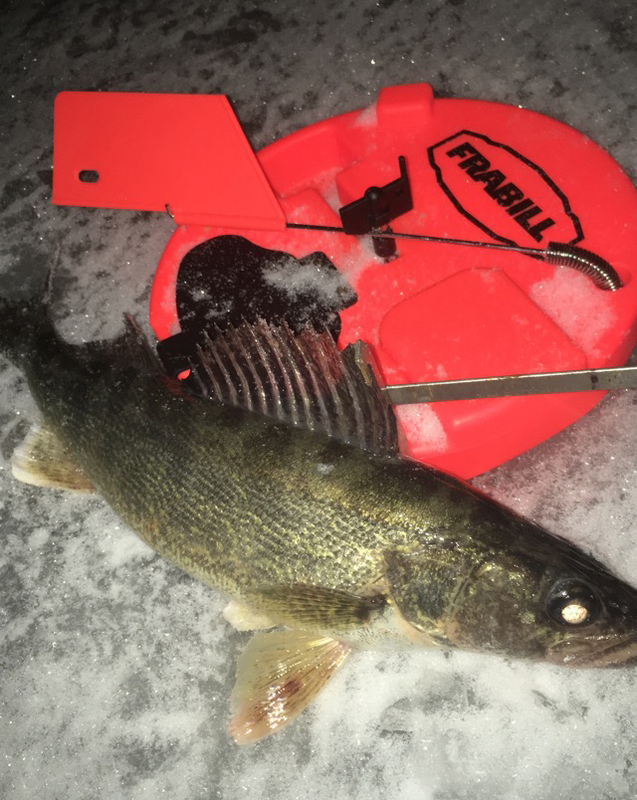 Walleye fishermen are often too focused on using finesse tactics to target winter walleyes. While these methods will still catch fish, so called "ice trolling" using tip-ups has turned many slow days into exceptional outings. Ice trolling refers to anglers staying mobile and consistently moving their tip-ups around on a piece of structure until active fish are located. This tactic is ideal for big lakes with lots of structure because it allows you to efficiently narrow down areas holding active fish. When tip-up fishing for walleyes, I prefer to use 4 to 5-inch sucker minnows rigged on small quick-strike rigs. I like to use a large sinker about 8 to 10 inches above the minnow to keep them from fleeing from any interested walleyes. For leader line, I prefer 12-pound fluorocarbon and I vary my leader lengths based upon water clarity. As a general rule, if my tip-ups haven't been hit after fifteen minutes, it's time to try new depths. If I have fished multiple depths along a certain piece of structure and still haven't gotten any flags, it's time to pack it up and head to another spot. Once you get a few bites in a certain depth and you are fishing with other anglers, it's time to move a few more tip-ups to that contour line to maximize your chances.